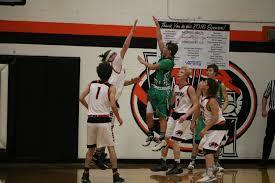 The Pierce City Eagles faced off against Golden City. It was a close game up until the 3rd quarter when the Eagles seemed to turn the switch, their defense came together Golden City could not seem to find the basket to score. The Eagles ended up winning 82-56. As their season comes to a close, the Eagles have one more game left until districts which is on Thursday, February 15th, against Miller. If they win they will be SRVC Champs. If they lose they will have to share the title with Lockwood and Greenfield. Thursday, February 15th, is senior night and also military night. Military members will receive free admission to the game and will also be part of a special recognition between the varsity contests. It will go girls, game senior night, and military appreciation between then the boys will play miller. Girls are also going to be playing Miller. There is no JV on Thursday, but this game is moved to Friday, February 16th, also at home. The girls tip-off at 6:00pm.